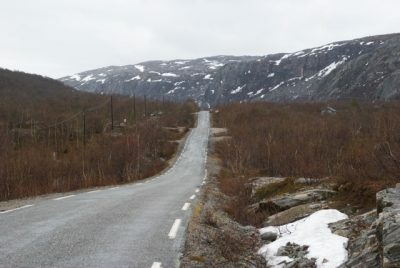 Northern Norway has long been divided into three counties: Finnmark in the far northeast, Troms farther to the west, and Nordland between Troms and Trøndelag. Now Norway’s vast Arctic area will be divided into just two counties, after a majority in Parliament agreed on Wednesday to merge Finnmark and Troms. He said there hasn’t been any talk of adjusting the existing border between Troms and Nordland, which runs roughly from Vesterålen and Narvik to the Swedish border. Residents of Nordland were jubilant that their region will remain intact, while residents of Finnmark and Troms were getting used to the fact that their northernmost regions will soon unite. There was no immediate word on what the newly merged county will be called, although Toskedal referred to it as “Troms/Finnmark.” The name “Finnmark” is deeply rooted in the area’s history, and it would be sensational if it were to disappear. Finnmark and Troms together form a landmass that’s bigger than Ireland. The area is rich in fishing stocks, minerals and, potentially, offshore oil and gas operations, but Finnmark especially is known for harsh weather and remoteness in addition to sheer scenic beauty. A press release issued Wednesday afternoon stressed that Norway’s Finnmarksloven, a law passed to enforce local land use rights in Finnmark, would remain in force.